Thuy Cung Cave in Sinh Ton Valley at Phong Nha – Ke Bang National Park is becoming a well-known stopping point for tourists. The site boasts imposing mountains, curved waterways and green valley. 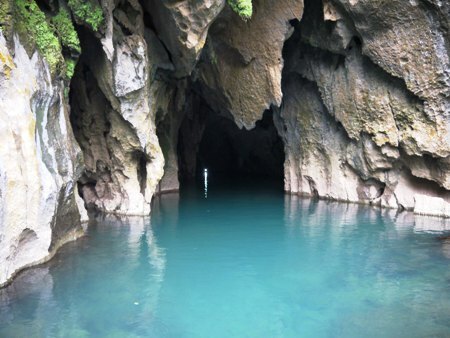 The area has Thuy Cung and Thung Tre caves, which provide ample opportunity for exploration. Sinh Ton Valley is also famous for Dau Rai tree population and diversified flora. It takes at least one day or two day a night for tourists to take a trekking tour through a nine-kilometre path around the cave. Le Thanh Loi, Director of Phong Nha – Ke Bang Tourism Centre, said the provincial People’s Committee has just approved a plan to launch the Sinh Ton – Thuy Cung tour on May 19.